On 10 September 2014, new European Commission President Jean-Claude Juncker nominated his team of Commissioners for the 2014-2019 period. The nominee for European Commissioner for Research, Science and Innovation is Carlos Moedas from Portugal. LNE Group examines his profile and looks at what his nomination means for the EU’s research and innovation agenda. 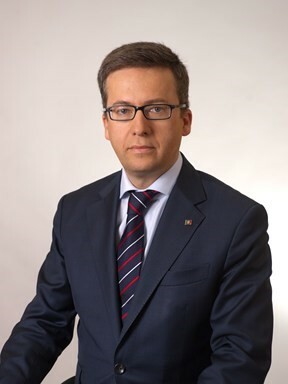 Carlos Moedas (born August 10, 1970) holds a degree in Civil Engineering from the University of Lisbon and an MBA from Harvard Business School. His professional experience spans various sectors including utilities, investment banking, real estate and investment management. He is a member of the Portuguese Social Democratic Party (centre-right), and served as coordinator of the party’s economic research unit in the early stages of the eurozone crisis. After being elected to Parliament in June 2011, he was appointed Secretary of State to Prime Minister Pedro Passos Coelho, with responsibility for overseeing the structural reforms implemented as part of the so-called ‘troika’ bailout plan. He was designated as European Commissioner by the Portuguese government on 1 August 2014. What will be his priorities? Contribute to the preparation of a jobs, growth and investment package of measures that will be presented within the first three months of the new Commission’s mandate. His role will include mobilising innovative financial instruments available under the EU’s Framework Programme for Research and Innovation Horizon 2020, facilitating investment in education, research and innovation infrastructure, and maximising synergies with the implementation of the European Structural and Investment Funds at national and regional level. Promote the international excellence of the EU’s research and science and strengthen research capacities and innovation strategies across all Member States, in particular to ensure progress towards the research and development target set in the Europe 2020 strategy (i.e. 3% R&D intensity). Establish strong coordination across the Commission regarding research, science and innovation matters, to make sure that Commission proposals and activities are based on sound scientific evidence and contribute best to the EU’s jobs and growth agenda. Focus more on applied research, with a greater participation of the private sector and a special focus on SMEs, in particular in Horizon 2020, with a view to reinforcing Europe’s industrial leadership and its capacity to address societal challenges. Maximise the value added and impact of Horizon 2020, ensuring effective use and dissemination of project results. Maximise the synergies between projects funded under Horizon 2020 and the realisation of the EU’s priorities as regards the Digital Single Market and the European Energy Union, by making effective use of funds available for instance for energy efficiency, low-carbon technologies and digital technologies. What does his appointment mean for the EU’s research and innovation agenda? Carlos Moedas will be in charge of steering the work of the European Commission’s Directorate General (DG) for Research and Innovation, as well as of parts of the European Research Council Executive Agency (ERCEA), the Executive Agency for Small and Medium Sized Enterprises (EASME), the Innovation and Networks Executive Agency (INEA) and the Research Executive Agency (REA). The extent of his responsibilities and influence within the new Commission, however, remains uncertain. A key innovation in the new Commission is indeed the introduction of a novel hierarchical structure, with seven powerful Vice-Presidents who will oversee the rest of the Commission’s work. The Vice-Presidents will be in charge of a number of priority projects and will steer and coordinate work across the Commission in key priority policy areas. Vice-Presidents will also have a strategic filtering role, as their backing will be needed before Mr. Juncker puts any new initiative on the Commission’s agenda or in its Work Programme. Mr. Moedas will form part of the Project Team ‘A Resilient Energy Union with a Forward-Looking Climate Change Policy’, which will be headed by Vice-President for Energy Union Alenka Bratušek from Slovenia. In his letter to Mr. Moedas, however, Mr. Juncker states that he will also have to contribute to projects steered and coordinated by the Vice-President for Jobs, Growth, Investment and Competitiveness (Jyrki Katainen from Finland) and the Vice-President for the Euro and Social Dialogue (Valdis Dombrovskis from Latvia), as well as the Vice-President for the Digital Single Market (Andrus Ansip from Estonia). For other initiatives requiring a decision from the Commission, he will, as a rule, liaise closely with the Vice-President for Jobs, Growth, Investment and Competitiveness. The new hierarchical structure is meant to enable a more effective and efficient running of the Commission. However, it remains to be seen how it will work in practice. Some concerns have already been raised regarding the potential for overlapping roles and conflicts between Commissioners, as well as the possible relegation of some of them in a second league of ‘junior’ members. In order to avoid this fate and to have a strong and lasting impact on the EU’s research and innovation agenda, Mr. Moedas – a relatively young politician and a newcomer in Brussels – will need to work hard to assert his authority within the new Commission setup. In order to complete the new Commission’s nomination process, the European Parliament will have to confirm the Commissioners nominated by Mr. Juncker. The hearings of the nominated Commissioners by the Parliament’s committees will start at the end of September, and the plenary vote on the Commission is scheduled to take place on the 22nd of October.